Looking for a fabulous place to spend July 4th weekend? 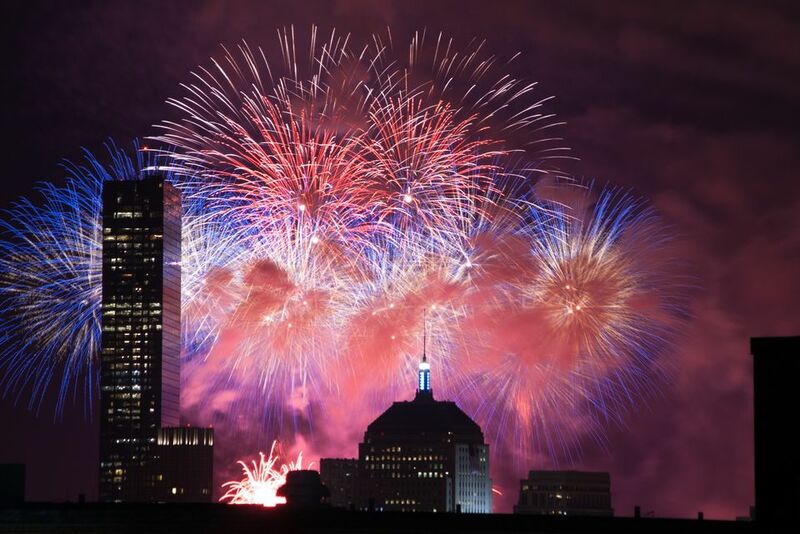 Unsurprisingly, the historic towns and cities of New England celebrate Independence Day in a big way, with parades, family-friendly events and, of course, lavish fireworks displays. Here's a selection of destinations that promise the biggest, best and most charming celebrations in the Northeast. Every summer, Beantown puts on the most famous birthday celebration in America, drawing many thousands of visitors and national TV coverage. The marquee event is a free July 4th concert on the Charles River Esplanade headlined by the Boston Pops Orchestra, which always ends with a stirring rendition of Tchaikovsky’s “1812 Overture” complete with real cannon fire and the ringing of church bells around Boston. The entire event ends with a spectacular fireworks show over the Charles River. Get there early, pack a picnic, and prepare for crowds. It's an event your family will not forget. Your family can step back in time to the New England of the 1830s at Old Sturbridge Village, a living history site with historic buildings and actors in period dress that convey what life was like nearly two centuries ago. Sturbridge throws a fittingly old-fashioned celebration, complete with a rousing reading of the Declaration of Independence and even a giant reproduction for you and the kids to sign. Your family can also make and wear tri-cornered hats, do drills with the Sturbridge Militia, learn 19th-century dances, play an early version of baseball, and wrap up the day with fireworks. 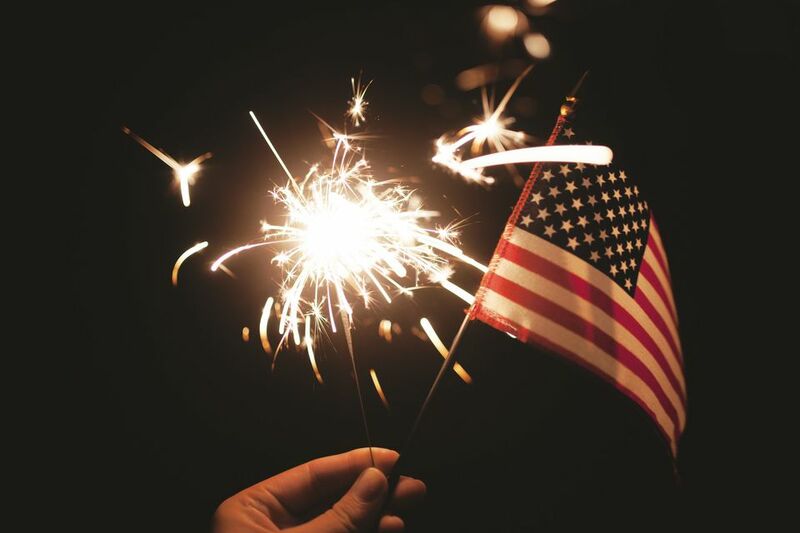 Voted one of the top five small-town Fourth of July celebrations in America, Bar Harbor is preparing once again to provide locals and visitors with spectacular festivities. A full day of events begins with a blueberry pancake breakfast, craft fair and marketplace, and a classic flag-waving parade. Next, it's time for the annual lobster races and seafood festival. The place to be in the afternoon is the Bar Harbor Town Pier, where a free concert series takes place, followed by fireworks over Frenchman Bay as the grand finale. Looking for a quintessentially wholesome New England vibe with tons of history? Along the rugged Rhode Island coast, the lovely town of Bristol (pop. 23,000) holds the record for the longest running Independence Day celebration in America, held every year since 1785. The holiday is laced with as much apple-pie patriotism you'd expect, with marching bands, floats, and plenty of families lined up for flag waving. The route is well marked with a red-white-and-blue striped line painted along Hope and High streets, and it finishes at the town common. There's also a Fourth of July ball, Drum Corp show, and fireworks over Bristol Harbor. The beautiful town of Stowe is perhaps best known as a ski destination, but New England families know that it's a gorgeous place to visit any time of year. Every July 4th, Stowe throws a day-long party with a parade, food, music, entertainers, and kid-friendly attractions such as face painting, a dunking booth, pet parade, magicians, clowns, and balloons. There's also an annual field carnival at Mayo Farm followed by an impressive annual fireworks display. Portsmouth's annual American Celebration is hosted by Portsmouth's Strawbery Banke Museum, a 10-acre living history museum with costumed actors that put on a charming and old-fashioned salute to Independence Day and the joys of summer. The day begins with a US Naturalization Ceremony, then treats families to a classic old-fashioned 4th of July featuring a penny-farthing bike and wagon parade, giant kite fly, potato sack races, kids' liberty treasure hunt, garden crafts, live music, historic garden tours, colonial hearth cooking, basket weaving, food, and more. For families looking for a traditional celebration of our country's independence, Smugglers' Notch in Vermont is a swell choice. In the morning, the village of Jeffersonville hosts a parade down Main Street and a fair with live music, food, and games. Later in the afternoon at the resort, there's a firemen's barbecue followed by a stirring performance by the 40th Army Band, and at dusk, fireworks against the backdrop of the Green Mountains. Summer packages include condo lodging; use of eight heated pools and four waterslides; the FunZone indoor entertainment center; daily guided hikes and walks; and daily family activities like giant lawn games, music and more.